Stepped off the plane blurry eyed because I didn’t manage to sleep so well. Sitting between two burly guys meant I had no arm rest whatsoever. That said I have no problems falling asleep in general- especially on the plane which is very useful since I suffer from a mild case of motion sickness- so I did catch some shut-eye. I think my times in Sydney were fueled more by adrenaline rather than anything else. Looking back at the number of things I did in 24 hours… gosh I didn’t even know I could be that efficient haha. 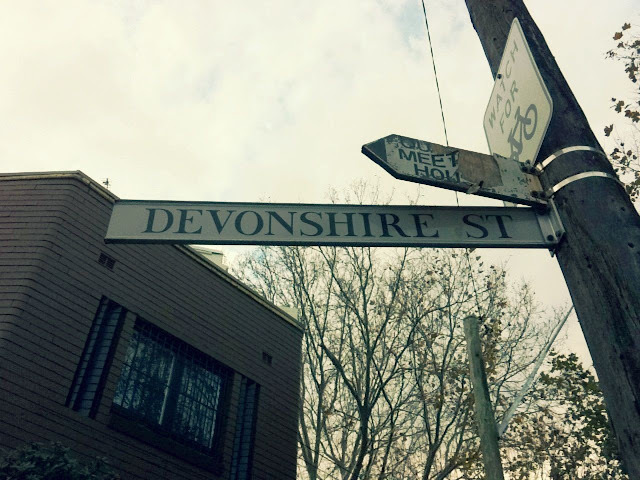 After a sumptuous lunch kindly hosted by dad’s friends, I wandered off to Surry Hills on foot. 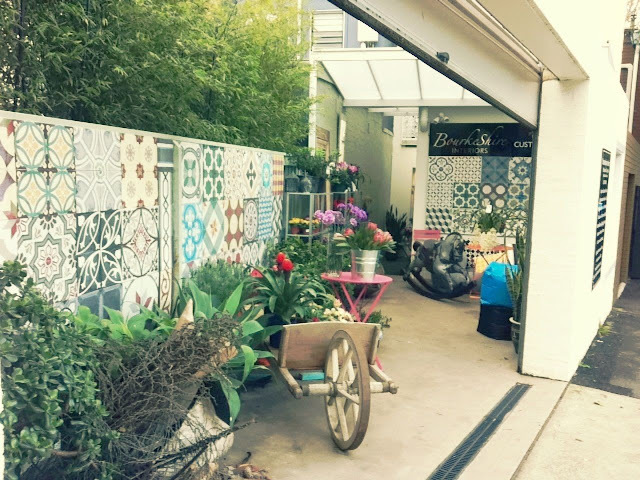 It’s a pleasant neighbourhood with beautiful terraced houses dotted with boutique furniture stalls and cafes. 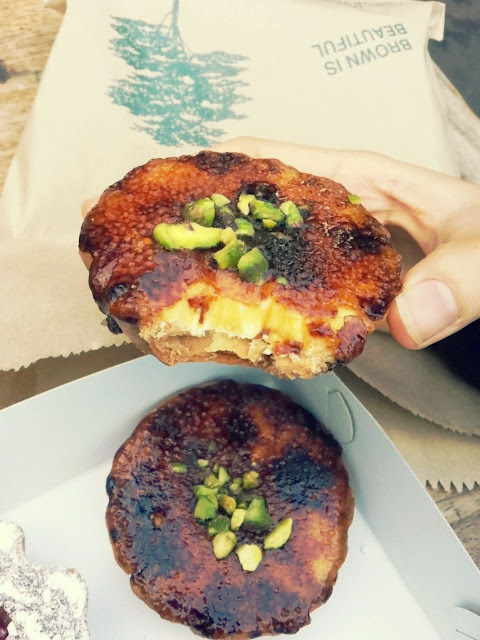 I was in search of Bourke Street Bakery for a taste of their crème brûlée tarts. It took awhile (failed topography when I was in secondary school) but I finally found the place! 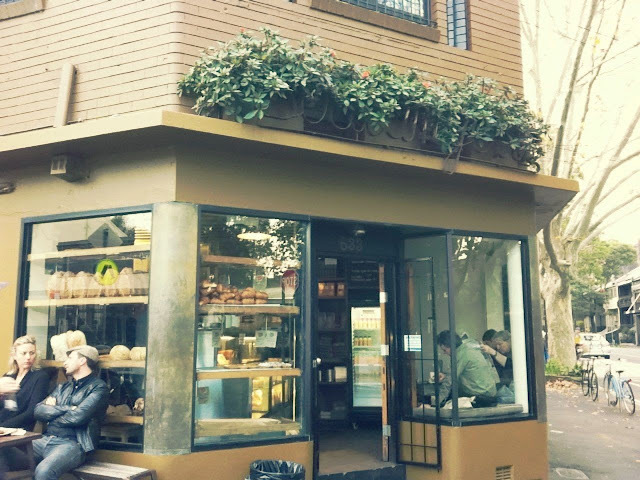 This place has been extensively written about but in a nutshell, it’s a simple, rustic, neighbourhood bakery. Their pastries however are hardly simple. Quickly ordered a Rhubarb Frangipane tart and two Ginger Brûlée tarts to quell my curiosity (The Crème Brûlée Tarts weren’t available so I had to settle for the ginger version). Fortunately I had 20 minutes of perfect weather outside (i.e. cool temperatures, no sunshine) before the rain came. Love love the jovial, neighbourhood atmosphere there. The bakery is sort of a meeting place for parents and kids to interact, locals to get their cuppa, and an occasional traveller like myself who decides to make a special trip down. 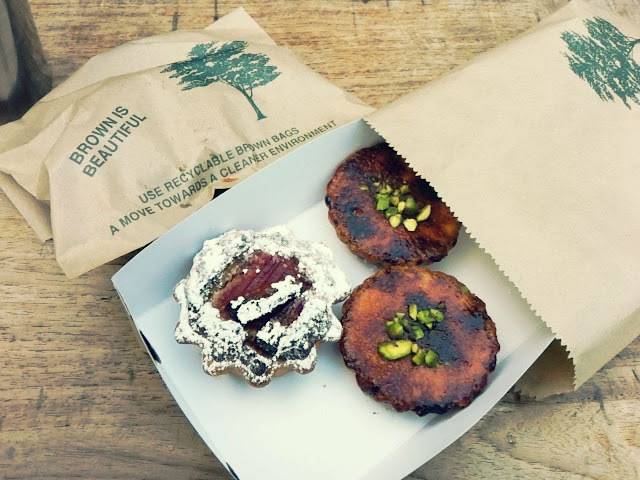 I’ll return to Sydney just for Bourke Street Bakery. I’m not kidding. 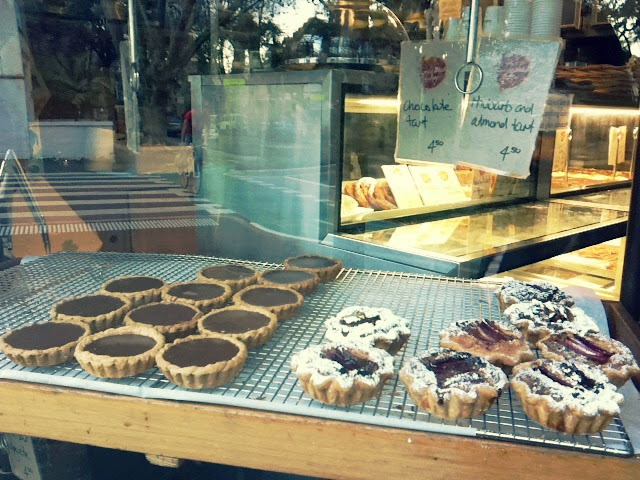 I decided to transit in Sydney for Adriano Zumbo but I think Bourke Street Bakery is a better reason now haha. Honestly there is nothing wrong with this tart. The crust was quite special, I’ve never had something like that. It’s rustic,- not the buttery, crumbly (think shortbread) kind of tart shell that I’m more familiar with- less sweet, flakey, and thicker than the usual. It’s the ideal vessel for the ridiculously thick and smooth ginger custard within. But the cherry on top of the cake would definitely be that thin layer of caramelised sugar. Torched to perfection with flavours akin to what I like my caramel to have- warm, toasty, light bitter notes. This tart is technically difficult but perfectly done and more importantly, the flavours and textures come together so well. I glanced at the recipe but gosh, I think I’ll just pay 5 aussie dollars for the tart. Haha. Surprisingly the Rhubarb Frangipane was also well done. The Frangipane was moist and and the course almond meal used tasted fresh. Loved the sharpness of the Rhubarb which helped to cut through the monotonous flavours. 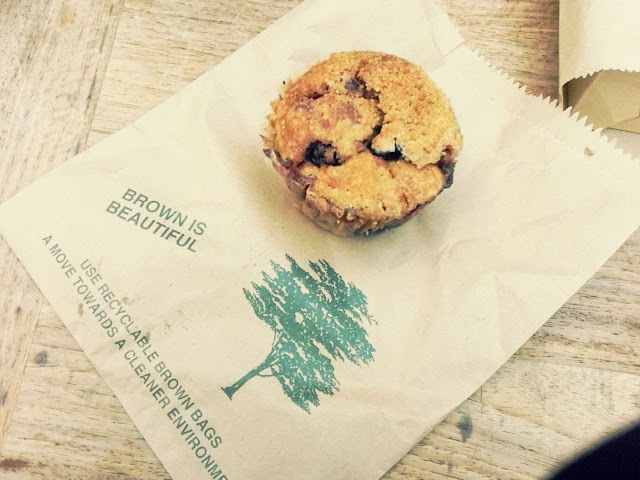 Had to give their blueberry crumble muffin a shot too since it looked so enticing at the counter. Plus points for being not too sweet but (perhaps it was because I had it towards the end of the day) I felt it was a little too soggy inside. I suspect a freshly baked batch early in the morning would be perfect. If I ever get to design any space, I’m definitely tiling bits of the walls and the floor with colorful square tiles like these. C&C has a beautiful tiled area at the front too. Things I’ve learnt from Bourke Street Bakery: ‘Rustic’ can be beautiful, and difficult to achieve. ‘Rustic’ can mean perfection too. If you are travelling Sydney, please don’t miss out on this gem. Have a seat outdoors with your tart on my behalf!